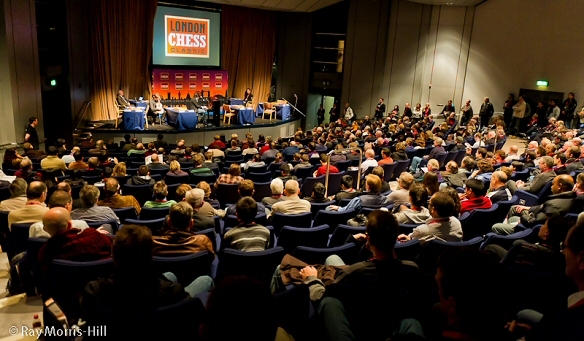 It’s the London Chess Classic – again! 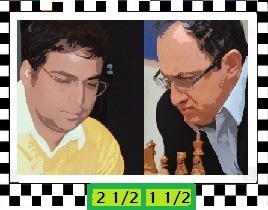 It started today and I hope to attend it next Saturday, as my favourite – Anand is playing. 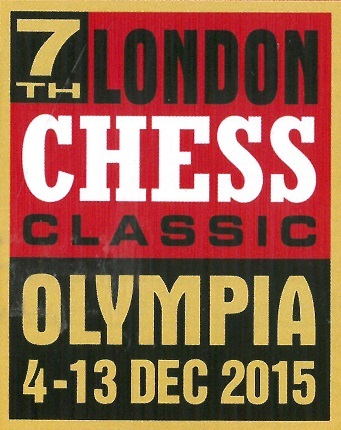 The link of the official site is on the side bar – with the logo of the London Classic. Today’s games started with a small opening ceremony. There were a couple of musicians to entertain the group of spectators in the auditorium. 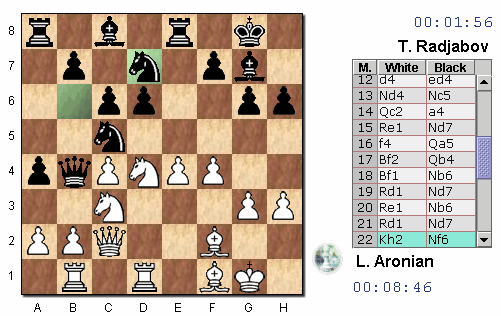 Chess is free at the classics for children! 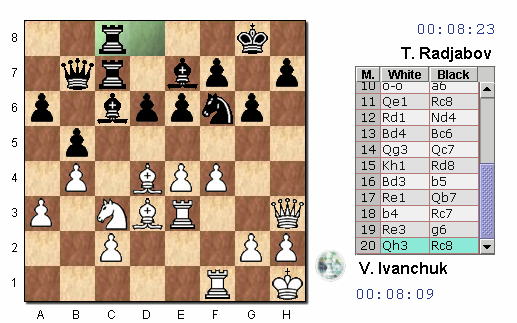 On this LINK you can read my entry about the classics in 2009. You can see my photos of the 2009 event. For the 2011 classics I had tickets, but unfortunately fell ill and couldn’t go. How sad. This is a ‘cento‘ which I wrote a little while ago, by using Shakespeare lines. A ‘cento’ is a poem written by using lines or passages of other authors in a new form or order. 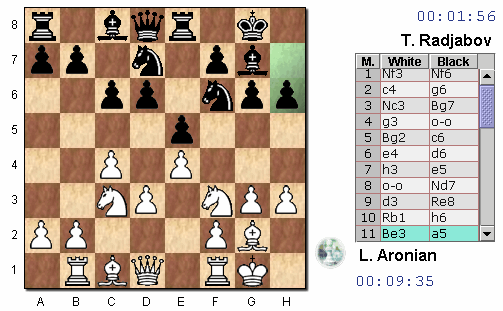 I used different plays of Shakespeare where he quoted something about the game of chess. Enjoy a some classical music – Haydn’s symphony nr 101 in D – the clock part 3- one of many favourites and Villar Rides. Unfortunately, not the whole track, but at least 3/4 of the track. Please click the image to go to the official site. The link will open in a new window. 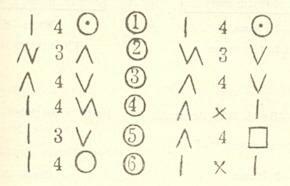 Meantime…some codes for you to figure out. Please click HERE to play through the games of round 9. 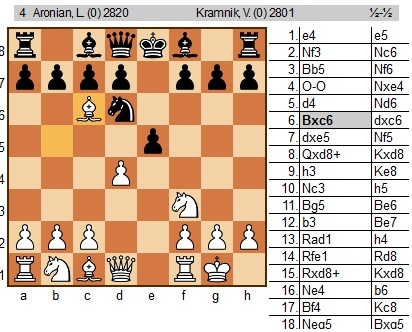 The games will open in a new separate window as all other links in this post too. 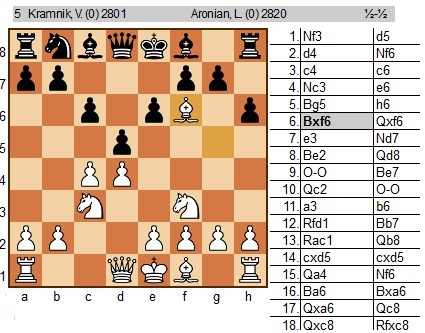 All images and info: from the Official site where you can also follow the games live! 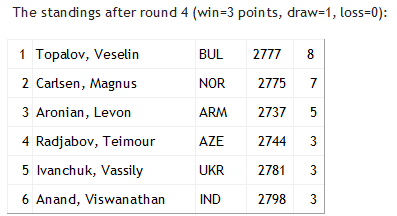 On this link you can follow the the results of all the rounds. 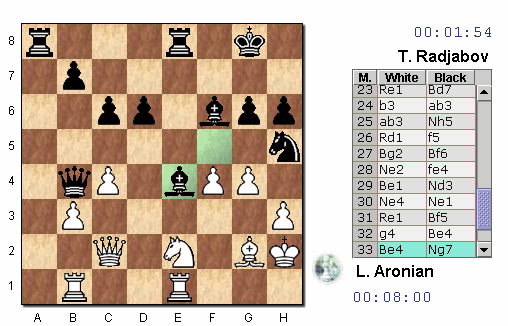 On THIS LINK you can play through the games of round 1 and on THIS LINK you can play through the games of round 2…and click here for round 3 all rounds’ games on chess.com’s site. 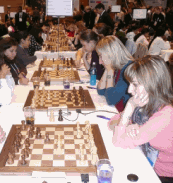 Pairings and results round 10 Saturday 13th September 2008–the final! 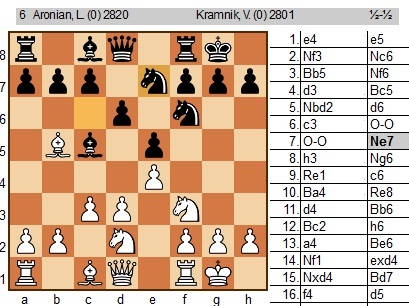 Please click HERE to play through the games of round 7 and on THIS LINK you can play through the games of round 6. 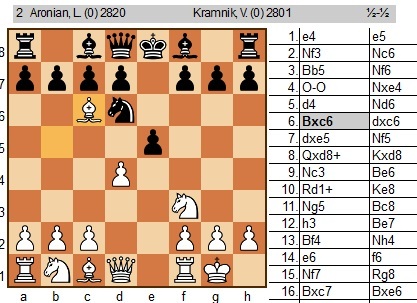 Please click HERE to play through the games of round 4. 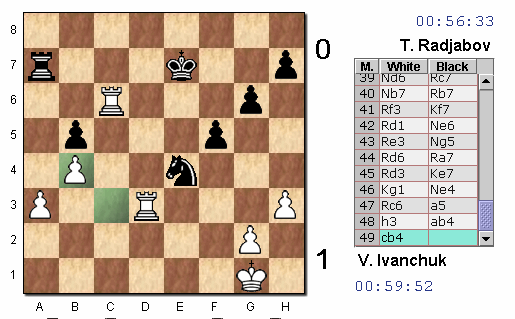 The organisers are certainly making original efforts to make chess more accessible to spectators by placing the players in an “Aquarium” i.e. a giant, soundproofed glass box. 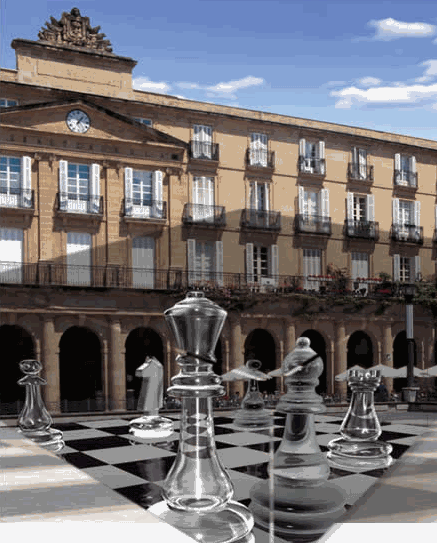 This innovation was first seen earlier this year at the M-Tel Tournament, but in Bilbao the “Aquarium” will be situated outside in The Plaza Nueva in Bilbao. 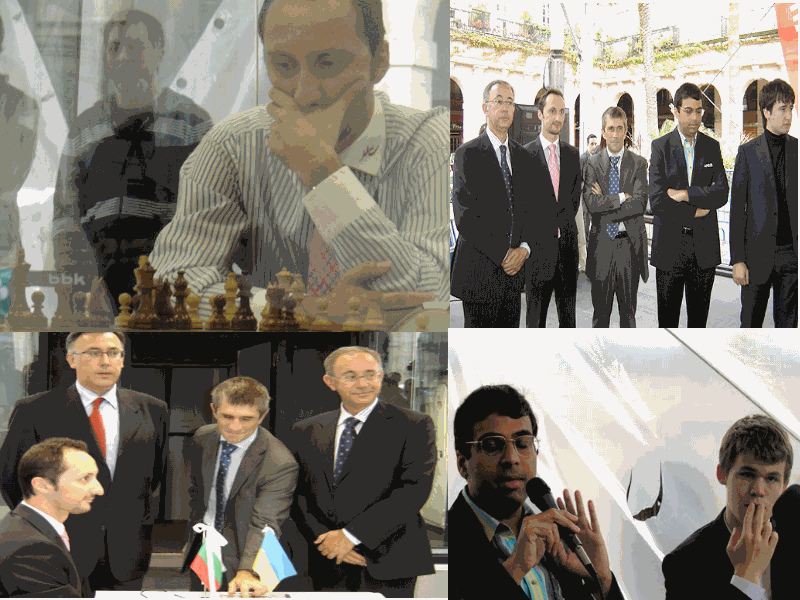 Bilbao will receive from September 2 to September 13, the strongest tournament of the History of the Chess. 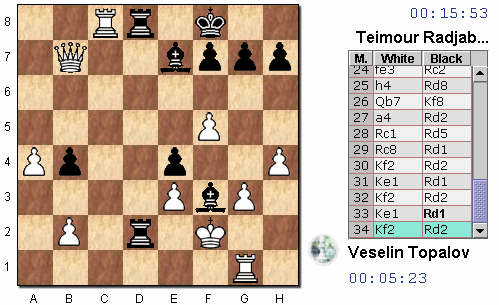 A tournament of the category XXII with Elo’s average of the participants of 2775,63. Further more, for the first time ever an event of such characteristics will take place in the street, in the Plaza Nueva, right in the centre of Bilbao’s Old Town. 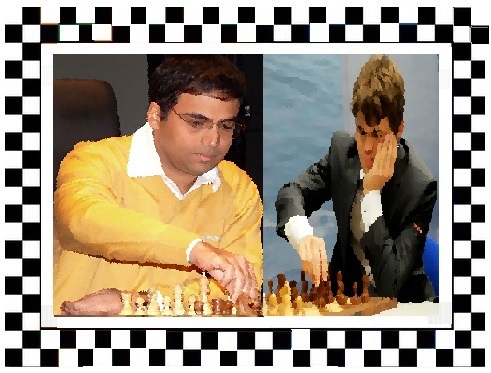 The six players participating are currently among the world’s top ten chess players headed by world’s champion and number one Viswanathan Anand. 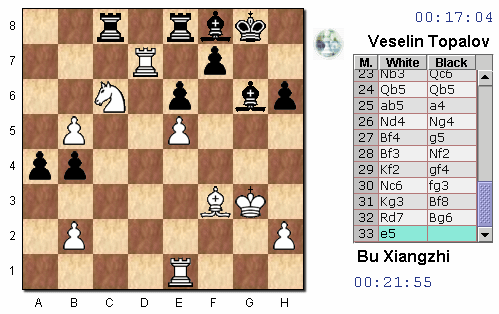 Along with him, Magnus Carlsen (number two), Vasili Ivanchuk (number three), Véselin Topálov (number six), Teimur Radyábov (number seven) and Levon Aronián (world’s number ten currently) will compete in Bilbao. 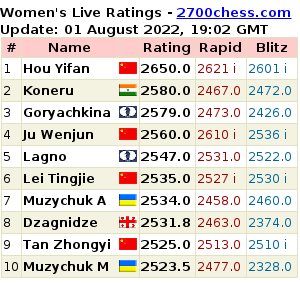 No tournament had managed so far to gather such a high Elo’s average level (scoring system to order players’ ranking). 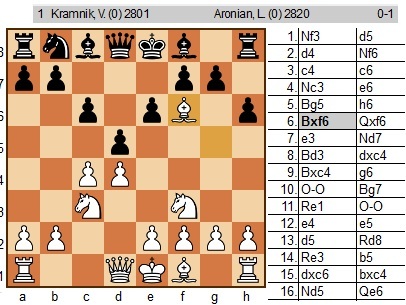 For the first time in a world’s elite tournament and surrounded by a strong international controversy, the Final Masters is going to apply the football scoring system, earning three points per game won and one point per draw, though players will not be allowed to agree a draw being the competition’s referee who will determine it. 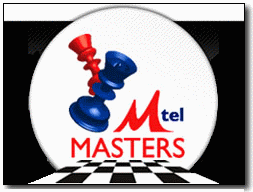 The Final Masters has the official recognition of the International Chess Federation (FIDE) and it will be played in a double round league during ten days (plus a two-day break). 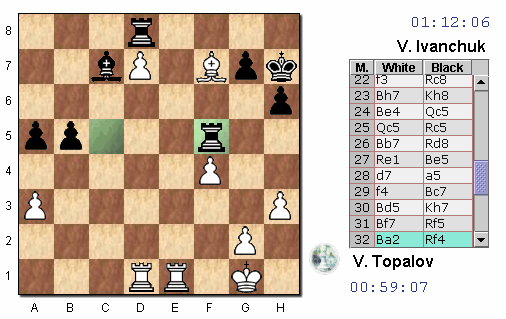 The total prize money amounts to €400,000, sum only exceeded by World Chess Championships: €150,000 for the first classified, €70,000 for the second one, €60,000 for the third one, €50,000 for the fourth one, €40,000 for the fifth one and €30,000 for the sixth one. 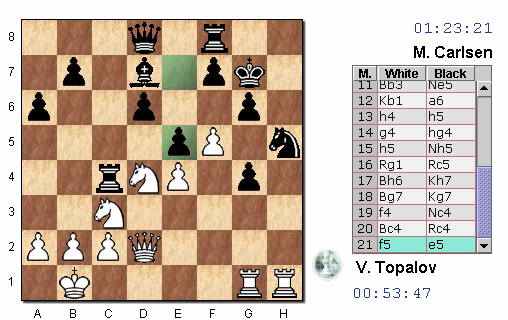 Another great novelty in this tournament will be the playing place: the street, allowing a lot of people to follow the games live and directly. A huge soundproofed and air-conditioned glazed case is under construction to this purpose and it will be placed in the Plaza Nueva in Bilbao under a marquee which will also accommodate The Agora for analysis and comments, a space located by the glass case where the audience will also be able to enjoy comments from Chess Grandmasters among whom we can name Boris Spassky and Susan Polgar. Pleae click HERE for the Official site. 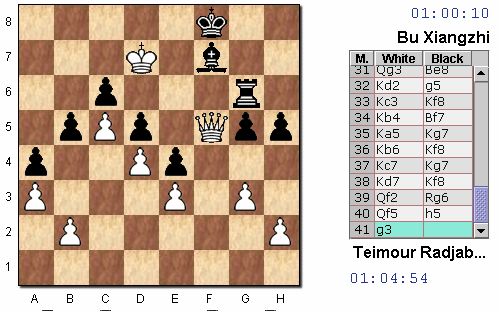 I couldn’t care less about my mental power or whatever it is said about me in the chess encyclopaedias in a hundred years time”. 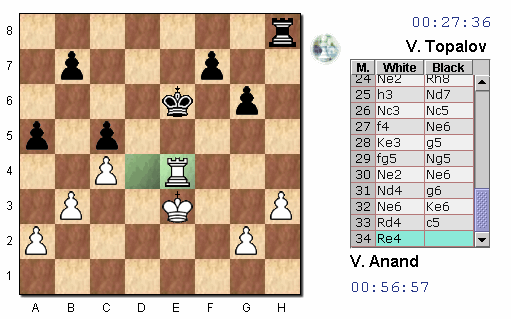 Viswanathan Anand is no doubt one of the greatest genius in chess history in the last fifteen centuries. 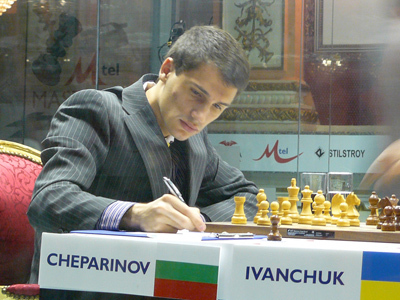 But his easy-going character makes him the complete opposite of Fischer, Kárpov and Kaspárov. 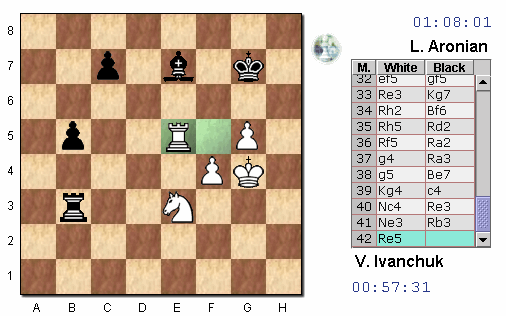 World champion and number one at the age of 38, he lives in Collado Mediano (Madrid), the rapid of Madras wants to polish even more his record in Bilbao at a month from the struggle for the crown with Russian Vladímir Krámnik. 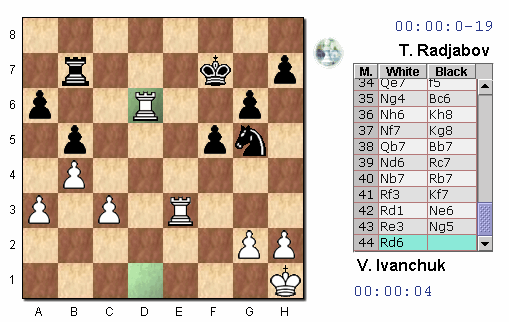 “Although it is my second world title, this one is more valuable because in 2000 chess was suffering from a schism and there were two champions. Now I am the only one. The dream has come true” he explained in Mexico City on 1st October 2007, before calling his parents who live in Chennai (former Madras) and his “Spanish father”, Mauricio Perea. 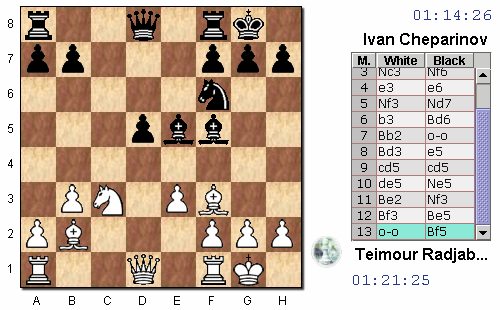 His second places at the Wijk aan Zee Corus (Holland) 2008 and at the Ciudad de Linares 2008, where he repeated his 2007 achievement, are a sign that this 17 years old Norwegian is already mature for even greater achievements. 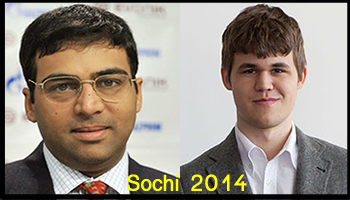 Magnus Carlsen recommends parents of child prodigies: “to give them support but without putting pressure on them. My father taught me to play chess when I was 5, but I wasn’t interested at the time and he left me alone”. At the age of 2 he already solved difficult jigsaws; at 5 he remembered the capitals, flags, areas and inhabitants of every country. 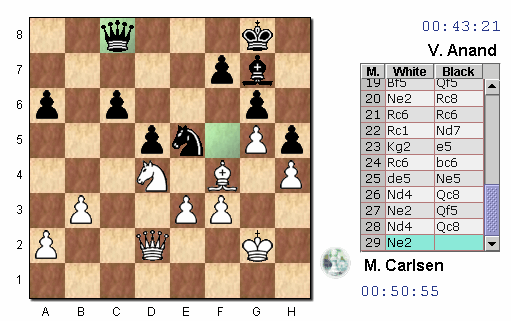 At 8, Magnus felt jealous one of his sisters played chess and that is where a career only comparable in precociousness with the ones of the sacred manes began. 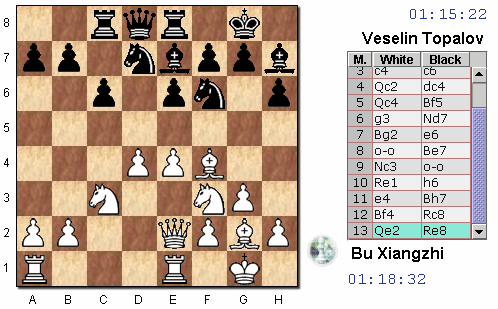 At 13 Carlsen became the youngest chess grandmaster in the world; and today, at the age of 17, he is among the world’s top five players in the rankings. He sleeps up to eleven hours, is a passionate fan of the Real Madrid and Spain is the country he knows best. When he is not travelling he attends a special school for sports talents. He has his particular opinion about money: “I don’t really know what to do with it”. I spend much less than I earn”. 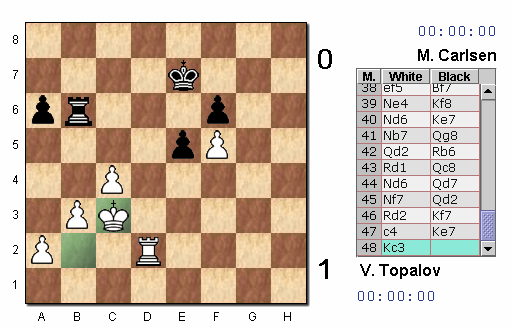 His sensational victory in the Mtel Masters, Sofia 2008 gave him the right to be in the Bilbao Final Masters. 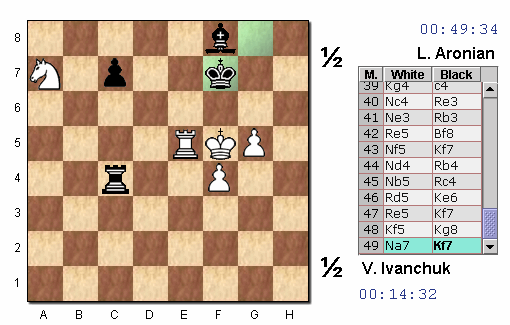 But even without this feat, Vassili Ivanchuk deserves a place among the top-class chess players: at almost 40, he is the oldest luminary though he is nevertheless at the peak of his career. 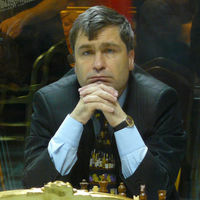 Chess lover to the core, tireless worker of encyclopaedic knowledge he is a genius absent-minded wise man of whom everybody – even his most bitter rivals- speaks very fondly. “My secret is I don’t know how I managed to win those five first games one after the other. I certainly did have a little bit of what it is called the luck of the champions. But the key is I wasn’t aware of what I was achieving; otherwise I would have never managed to do it. I believe I am at the best of my career. 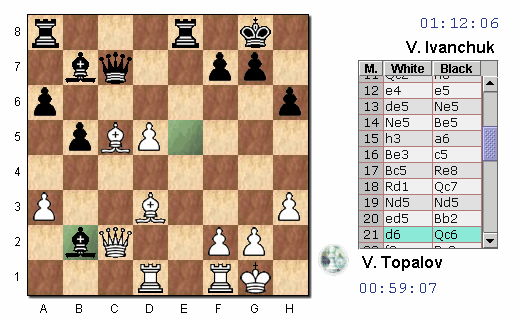 I don’t feel a bit old to stay in the elite; particularly if I compare myself to Víktor Korchnói, who is at his 77 years old still in the front line!”. 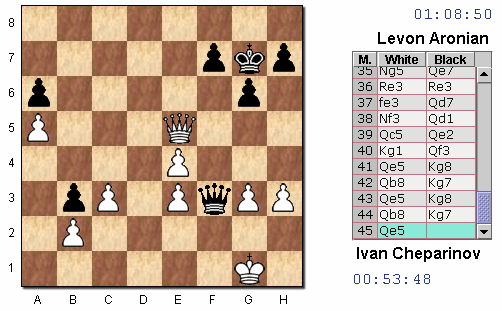 So modestly explained Ivanchuk his win in Sofia –undefeated, with eight of ten possible points-, one of the best results in chess history. 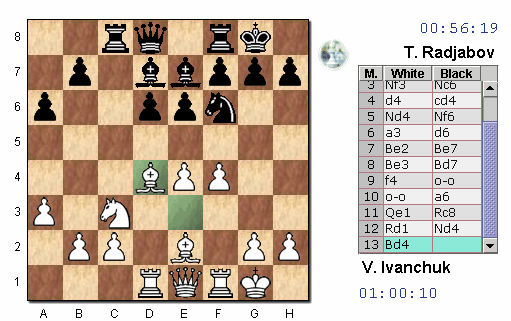 He defeated Kasparov in what was to be his last game (Linares 2005) and he is a clear symbol of the differences between the current chess elite and the times of the Ogre of Baku.Natural, modest and very friendly, a fighter and well disciplined about his everyday training, and tries to keep a good image. 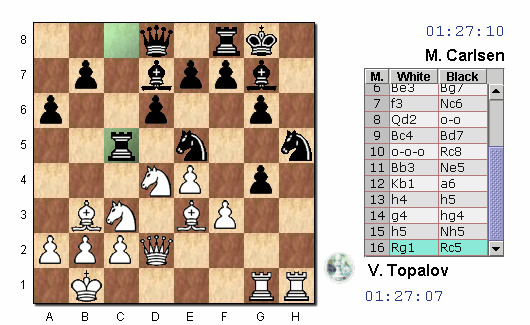 That’s Veselin Topalov, the 33 year-old Bulgarian from Salamanca world chess champion in 2005 and currently number four in the chess rankings, with the clear aim to take up again the crown in 2009. “I will never forget what happened to me when I was 8 years old in Ruse, my native city. 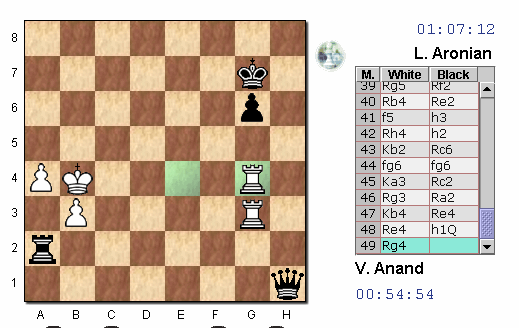 After defeating me, one of the best players of the area gave me a row, he pulled my ears and almost hit me because I had played too fast, without thinking. 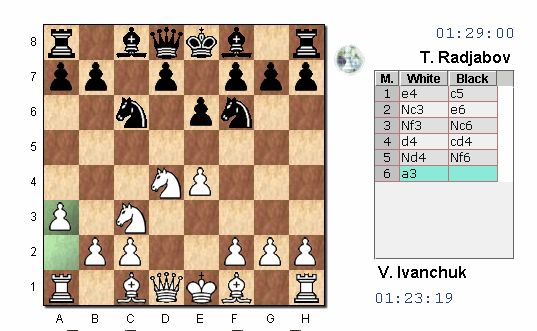 A year later I played with him again in the same tournament, and I won, he remembers about his childhood in Bulgaria. 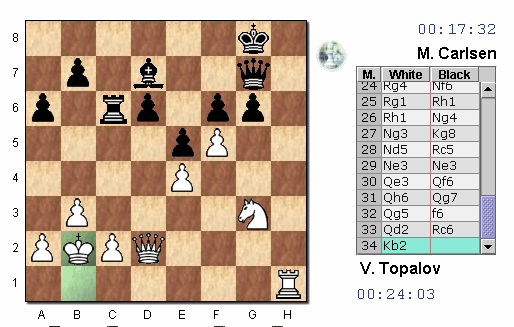 Topalov admits that it is impossible to be among the world’s top ten chess players without innate talents: “If we put it into round numbers, 60% of my success is due to the effort and 40% to the talent”. 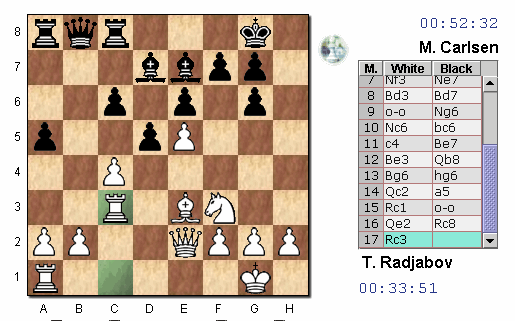 Even though chess is along with music and mathematics the activity that more child prodigies produces, very few have impressed so much as Teimur Radyabov. 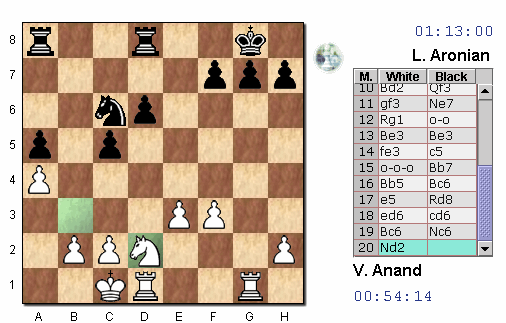 At 12, when he became European Champion U-18, he already showed a strategic depth and good manners not expected from someone of his age. 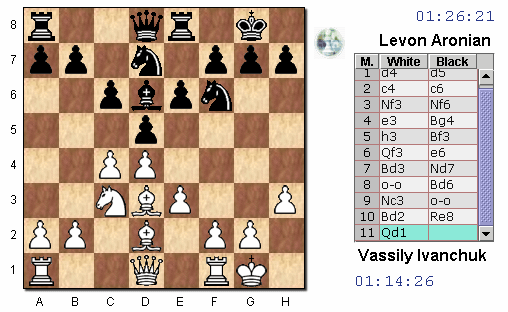 At 14 he became grandmaster. 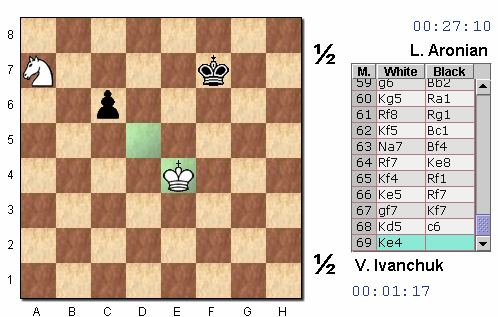 At 15 he defeated Kasparov with the black pieces in Linares. Today he is 21 and has settled among the elite, though everything shows that he’s still got a long way to go, as he will most probably demonstrate in Bilbao. 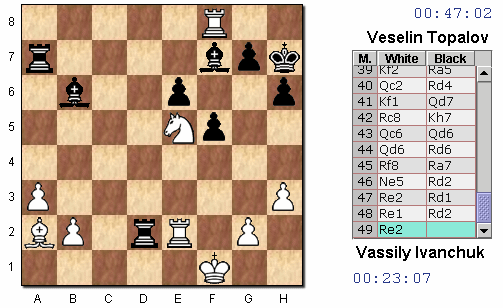 One has to go back as far as the legendary Bobby Fischer in the 60’s to find feats as resounding as when Radyabov defeated Kasparov in 2003. 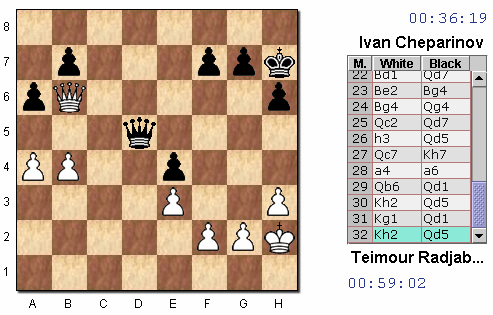 Also born in Baku, he had never lost with white pieces to a human rival in the classical game since May 1996. 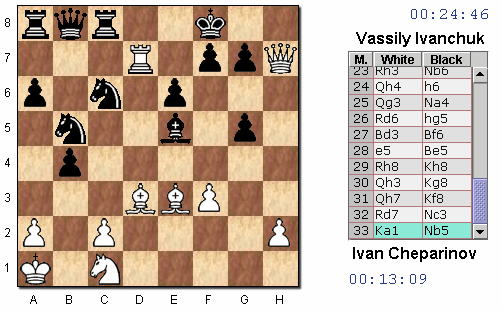 Bearing in mind that both of them were born in Baku and were Guéidar Alíyev’s protégées (President of the Azerbaijan KGB when Kasparov was young and of the Azerbaijani Government when Radyábov was a child) one can better understand Kaspárov’s angry outburst that night: he did not shake hands with the winner and had a very late dinner, thumping his fist on the table while having chicken. 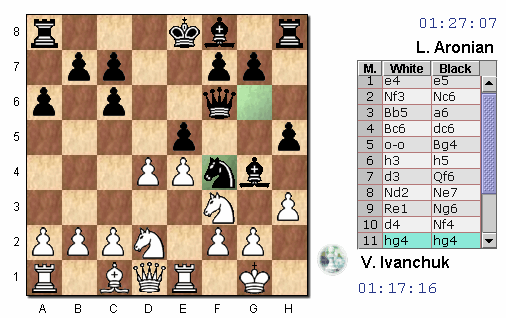 He could be the boy from the shop around the corner, jet he is a great chess luminary: he is only 25 years old but has already won the World Cup and the Linares and Wijk aan Zee (twice) tournaments. 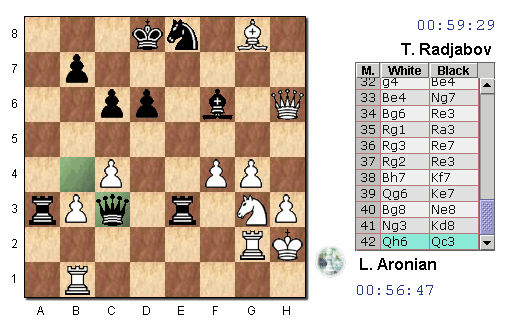 That naturalness, his universal style and belonging to a country where chess is the national passion, as well as a balanced nervous system configure the 25 year-old Armenian Levon Aronian as a very solid value. “I’m not prepared to compete with the big ones. 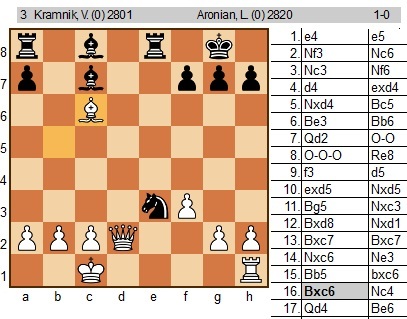 The only advantage I have over those beasts is my total ignorance and fresh thinking”, Aronian said at Christmas 2005, a few days after having won the World Cup in Siberia and some days just before his debut in the Wijk aan Zee Corus Tournament (Holland), where he shared the 7th place of 14 participantespants. 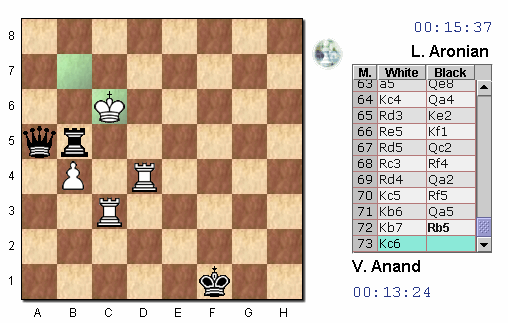 Just a month later he triumphed in Linares, the chess Wimbledon, so surprisingly as convincingly. Images from different rounds from the Official site. 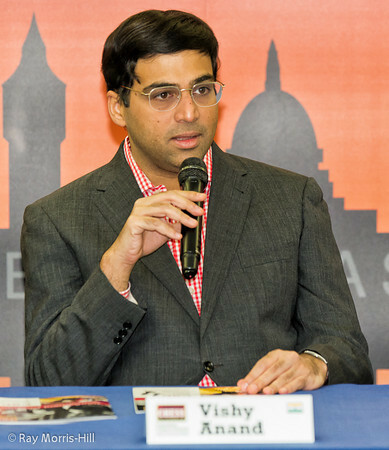 Bilbao, Sept 09: India’s Viswanathan Anand continued to search for his first win of the Chess Grand Slam Final being staged here, as he played yet another draw in the sixth round. 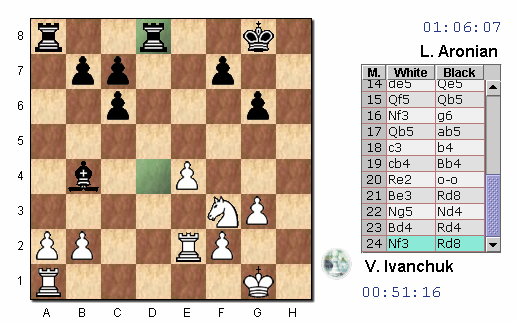 The world champion, who is back by Tech giant NIIT, Monday drew with Vassily Ivanchuk in 32 moves and took his total to 2.5 points on the traditional points system. 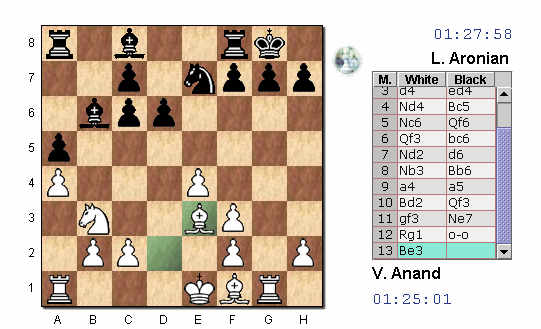 But here in Bilbao with draws fetching one point and wins three, Anand has five, while the leader is young Magnus Carlsen with 11 points from three wins and two draws and one loss. 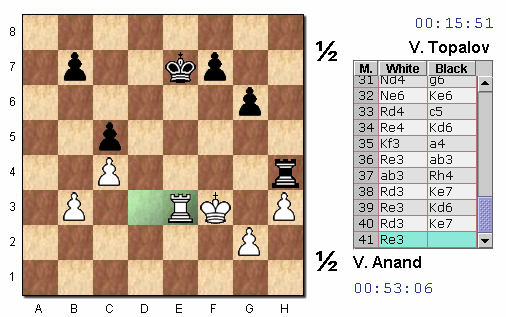 The Ivanchuk-Anand game was a staid draw coming out from a Slav Defence, with Ivanchuk making a token effort to gain advantage and Anand thwarting this effectively for a 32-move draw. 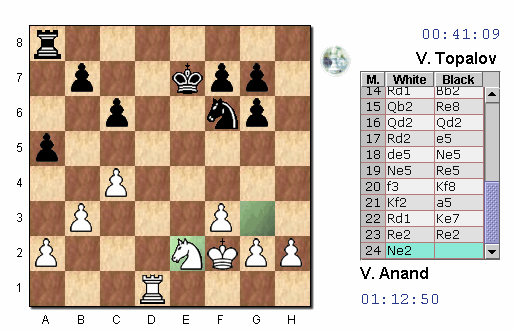 Anand’s game has been somewhat subdued leading to the feeling that the world champion is not revealing any of his major preparations that he may have made for the world title match against Vladimir Kramnik next month. 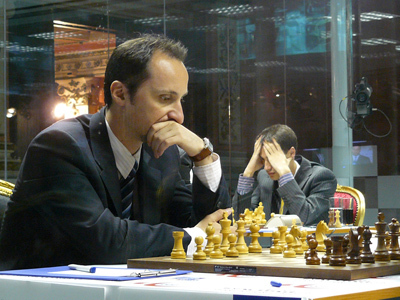 Veselin Topalov, who beat Anand in the fifth round, and has 10 points with two wins and four draws, follows Carlsen. 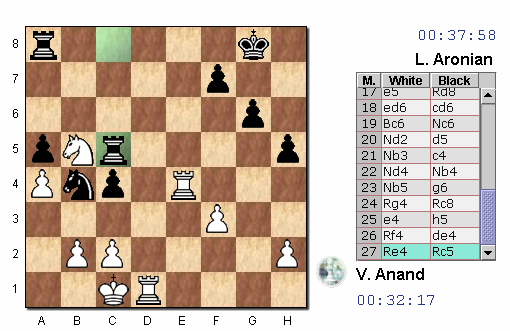 Lev Aronian, the only player with two losses, is third with six points, and Anand, Teimour Radjabov and Ivanchuk have five points each. 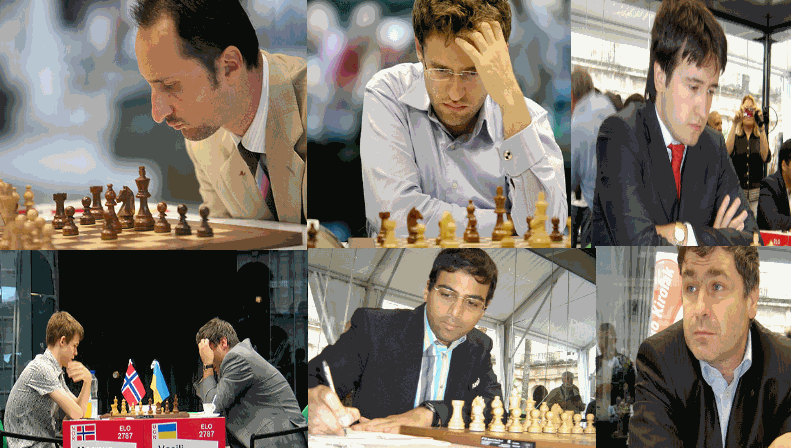 The tournament is a six-player double round robin event, one of the strongest in the history of the game. 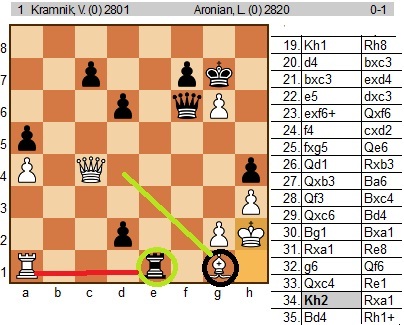 The scoring system in this tournament is different and experimental. 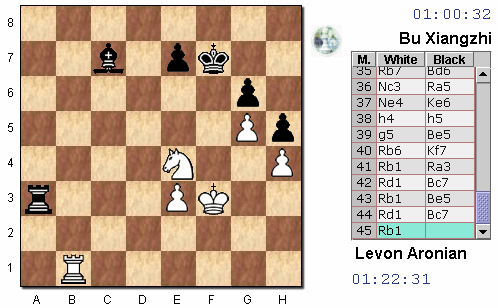 Players get three points for a win, one point for a draw and zero points for losing a game. 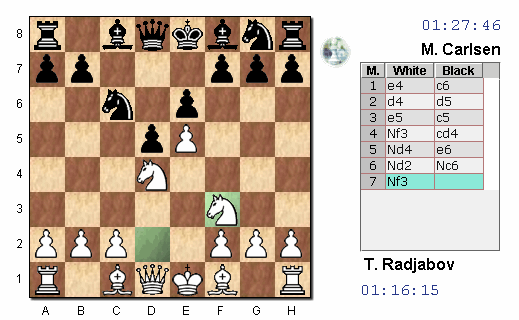 For rating purposes the traditional 1-½-0 system will be used. 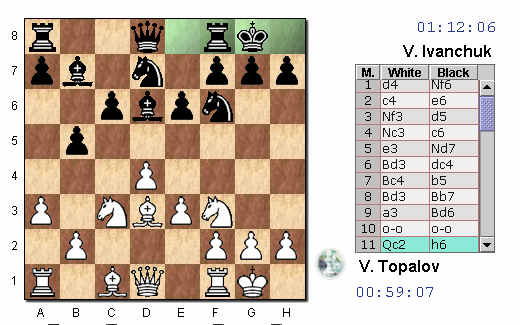 The prize fund for the event is 400,000 Euros, with the winner receiving 150,000 Euros, the second place 70,000 Euros, and so on, with the sixth player getting 30,000 Euros. The sums are unprecedented for an event like this. Only world championships have exceeded the amount. 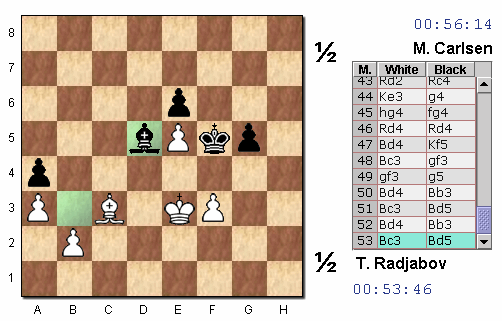 The Topalov-Radjabov clash was more volatile, with the Bulgarian GM looking set to chalk up another victory in Bilbao. 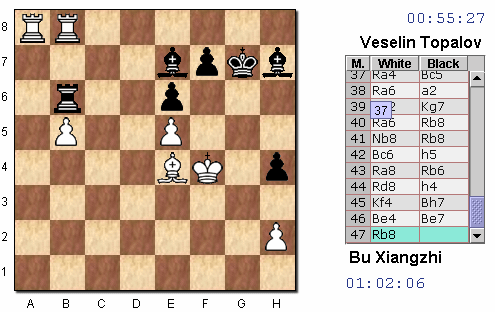 But after massive trade-offs after the time control Black had solved all his problems and in fact undertook some tentative attempts to play for a win. 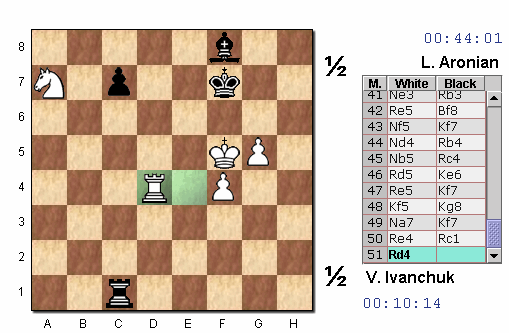 The draw came with a repetition at move 73. 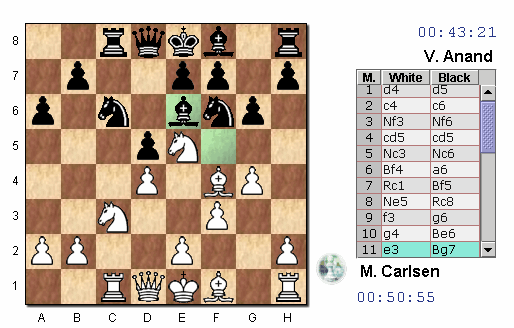 Carlsen continued his great run with a solid win over Aronian. 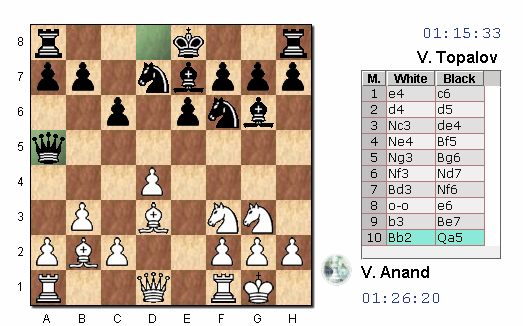 He sacrificed a pawn, which was part of theory, but then young Carlsen played a novelty which involves a second sacrifice on move 15. 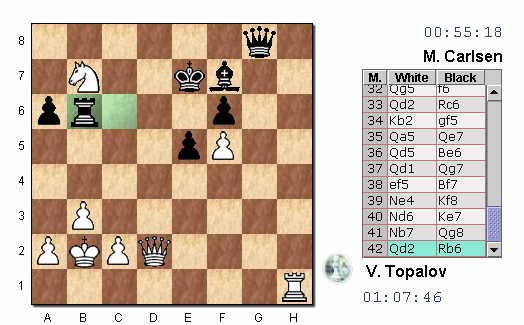 It loosely resembled the Gelfand-Kramnik game in Mexico City 2007, but that ended in a draw. 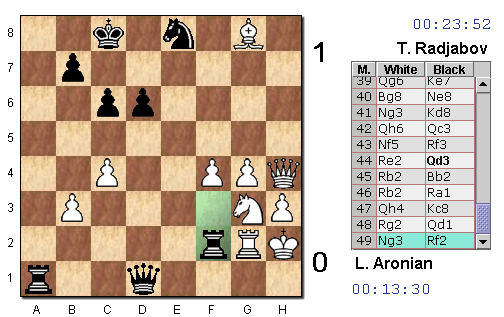 The novelty led to Carlsen forcing Aronian’s king to be stuck in the middle. 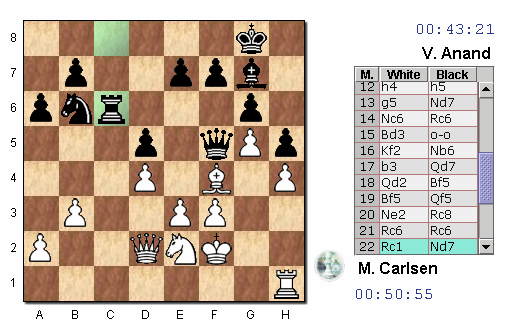 Carlsen got one pawn back and then launched a blistering attack. 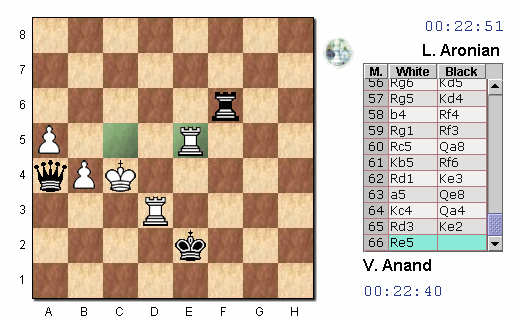 He wrapped up the game in 32 moves. 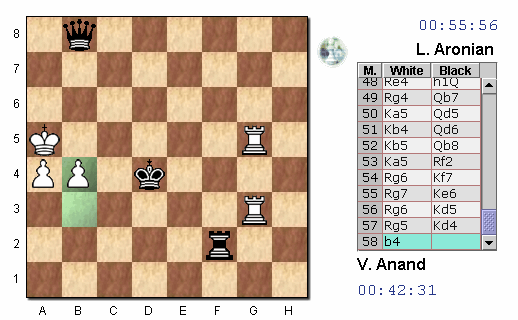 In the seventh round, Anand will have black pieces against Radjabov, while Carlsen clashes with Ivanchuk and Aronian meets Topalov. 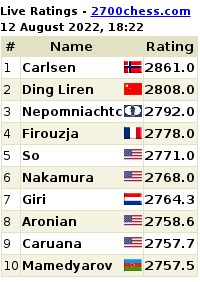 Scores after six rounds: Carlsen (11 points); 2. 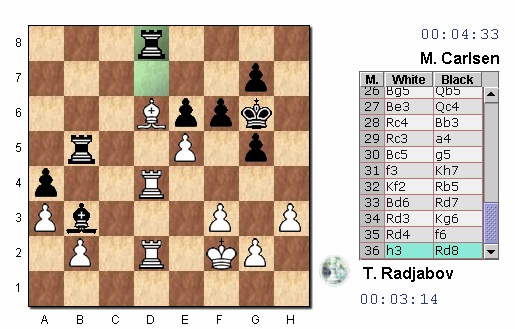 Topalov (10 points); Aronian (6 points); Anand, Radjabov and Ivanchuk (5 points each). 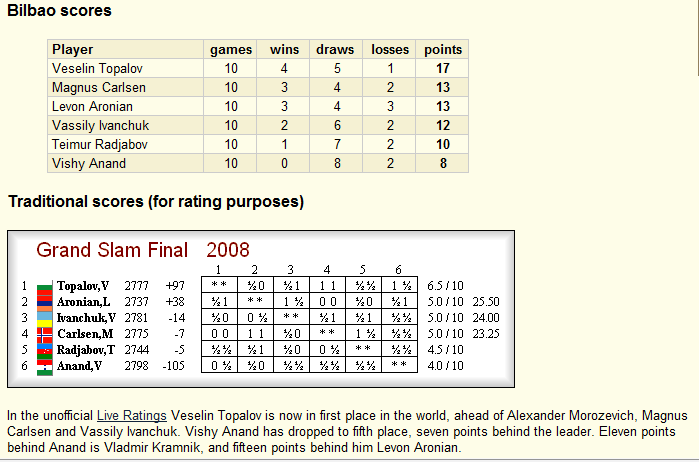 Congratulations Levon Aronian, Winner of the Asrian Memorial, 2008. 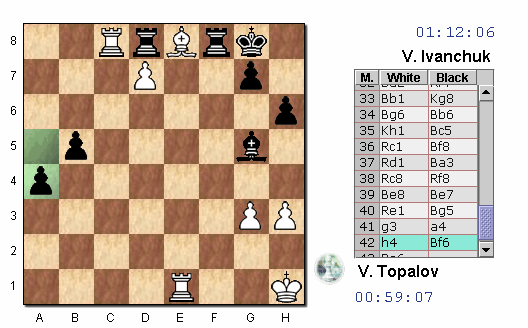 For the results on the tournament, follow the link to the official site or on the second link where you can play through their games too. 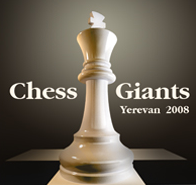 Chess Giants Yerevan 2008″ rapid chess tournament which will be held in Yerevan, Armenia from June 8-15, 2008. 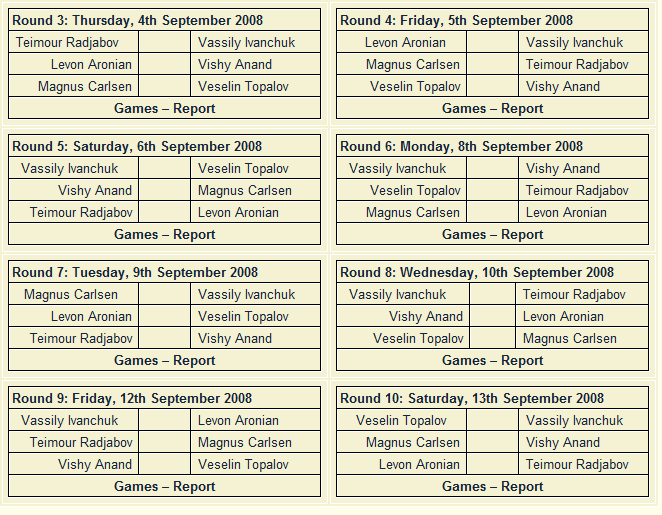 Eight giants of the chess world will pair off and play two games a day in what promises to be a week of fighting chess. 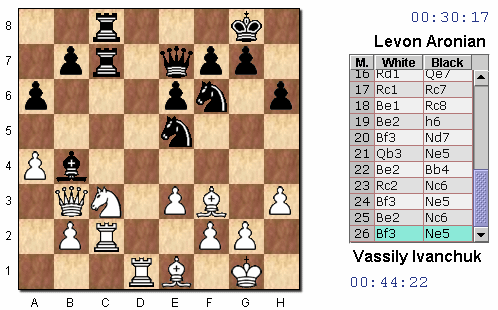 You can follow the games every day at 18:00 PM local time (GMT+4) from Yerevan’s picturesque Opera House. 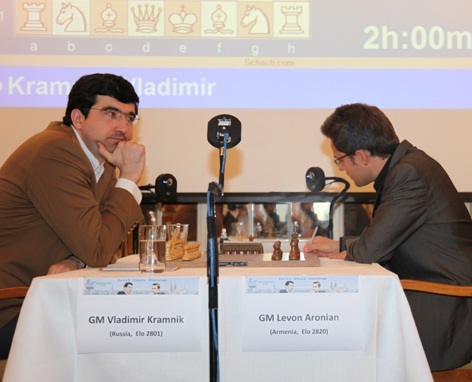 Please click HERE for the Official site of Chess Giants. 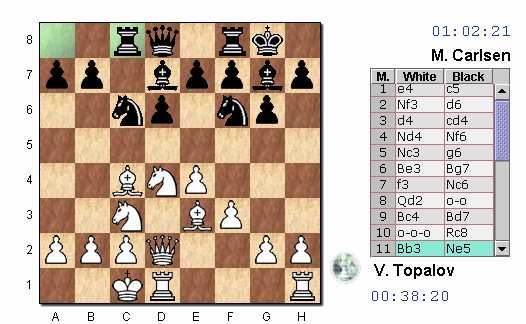 On THIS LINK you can play through their games as the tournament goes…enjoy! Note that due to the tragic news of GM Karen Asrian’s passing, the games scheduled for June 10 and June 11 have been postponed. 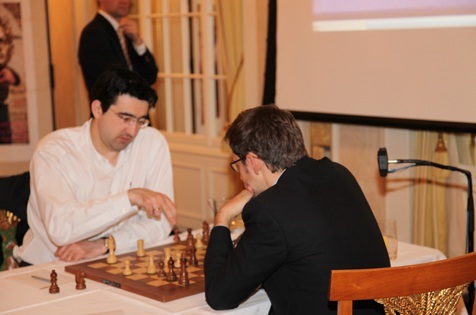 The Chess Giants tournament will resume on June 12. Click HERE to read about his death. 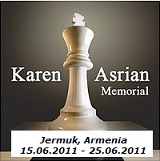 According to the decision of the Armenian Chess Federation, the Chess Giants Yerevan 2008 tournament has been renamed the Karen Asrian Memorial and will be held traditionally in honor of our cherished champion. 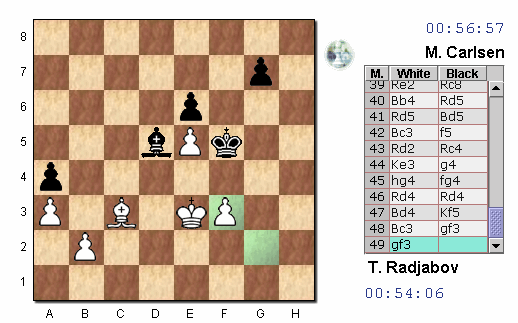 In addition, the rapid open scheduled to have been played in parallel to the main tournament from June 12-15, has been cancelled. 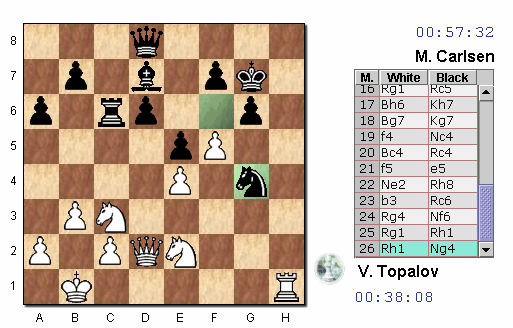 It is with great sadness and difficulty we report to you that today, June 9, Armenian Grandmaster Karen Asrian passed away. He was 28 years old. Details will be forthcoming. 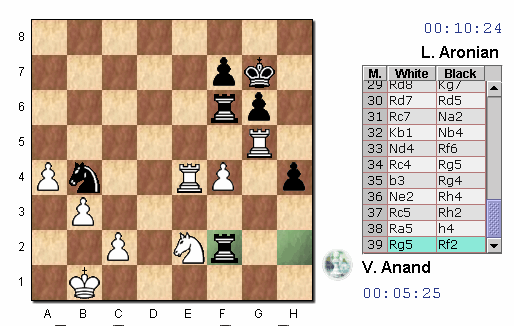 Round 1 games started late after a moment of silence in GM Asrian’s memory. In the valley of Biblical Mount Ararat lies the beautiful ancient city of Yerevan, the 12th capital of Armenia. Yerevan was built around the city-fortress of Erebuni established by the King Argishti the First the king of Urartu in the year 782 BC.The ruins of Erebuni still stand in the southeastern part of the city. A large part of the Erebuni fortification had been reconstructed by 1968 when the city celebrated the 2750th anniversary of its foundation. The well-preserved walls permitted the complete reproduction of the layout of Erebuni. 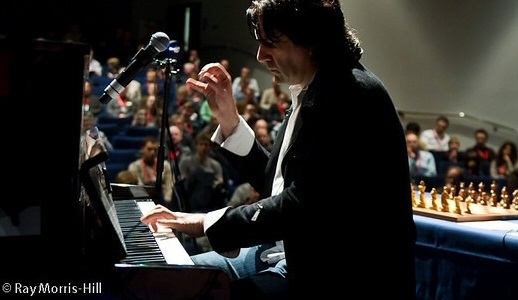 Yerevan is situated in the north-eastern part of the Ararat Valley. Mounts Aragats, Azhdaak, and Ararat can be seen from the city. With its rugged terrain, Yerevan displays a 400m disparity between its lowest and highest points. The city is divided by Hrazdan River that flows in a picturesque canyon. The climate in Yerevan is dry and sharply varied with temperatures in summer peaking over 35 C and falling below -15 C in winter.